n. 1 a: The collective name for about 600 species of palm native to tropical regions of Africa, Asia, and Australasia. b: Produces thin, pliable, and fast-growing stems, measuring up to 100 meters long, that can be woven into various lightweight, durable, and weather-resistant goods. 2: A profitable crop that provides an alternative to timber-logging without displacing trees, since the vine-like plant relies on forest architecture for support. 3: Used primarily for housing, furniture, and handicrafts. 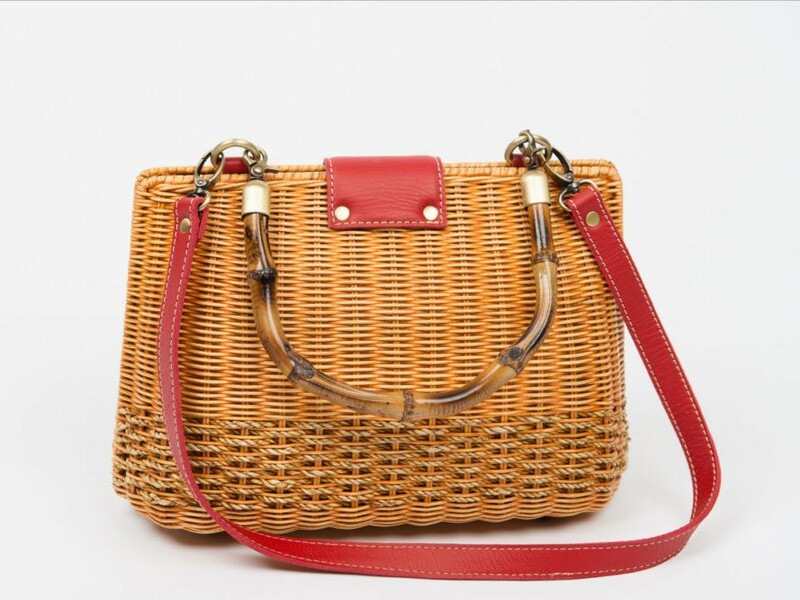 4: The material of choice for Purse for the People, a startup enterprise that turns woven rattan from Borneo and Java into customizable, American-made handbags. Rattan is a great and versatile material, and key to livelihood of hundreds of thousands here in Vietnam. For anybody looking into the sector here, you may want to look into WWF Vietnam rattan project which aims to certify specific companies based on best practices.